ITEM NUMBER C698. VW GOLF MK4 FROM 1998. A NEW SET OF 8 FUEL INJECTOR SEALS. 8 x INJECTOR SEALS. AS SHOWN IN THE PICTURE. 02.00 - 06.05. ITEM NUMBER C933. VW GOLF MK1 CABRIOLET 1.8GTI. VW GOLF MK2 1.8GTI 16V. VW GOLF MK2 1.8GTI 8V. VW SCIROCCO MK2. A NEW SET OF 8 FUEL INJECTOR SEALS. 8 x INJECTOR SEALS. AS SHOWN IN THE PICTURE. ITEM NUMBER C931. VW GOLF MK2 1.88VGTI. ENGINE CODES PB, PF & RV (DIGI-FANT). A NEW FUEL INJECTOR SEAL KIT. 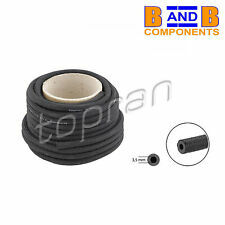 1 x INJECTOR SEAL KIT AS SHOWN IN THE PICTURE. THIS KIT IS FOR ONE INJECTOR ONLY. THERE ARE FOUR INJECTORS PER CAR. ITEM NUMBER C932. VW GOLF MK1 1.6GTI & 1.8GTI. A NEW SET OF 4 FUEL INJECTOR SEALS. 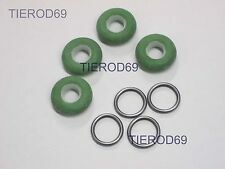 4 x INJECTOR SEALS AS SHOWN IN THE PICTURE. FROM 1978 TO 1983. ITEM NUMBER C934. VW GOLF MK3 2.8VR6. VW CORRADO 2.9VR6. 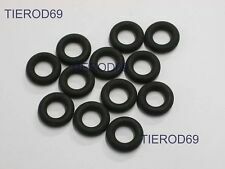 A NEW SET OF 12 FUEL INJECTOR SEALS. 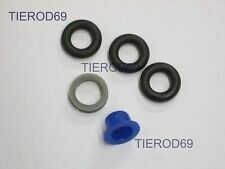 12 x INJECTOR SEALS AS SHOWN IN THE PICTURE. SUITABLE FOR. 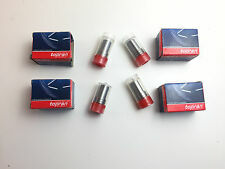 5 x Topran Germany injector. 0434250072 / 0434250120 / DN0SD220 / DN0SD240 (CHECK YOUR OLD NOZZLES NUMBER). OE Ref number : DN0SD261. Injector Nozzle SD261. 4 x Topran Germany injector. CITROEN 1920 NL. CITROEN JUMPER Box 2.2 HDi 100 04/2006 -. CITROEN JUMPER Box 2.2 HDi 120 04/2006 -. CITROEN JUMPER Bus 2.2 HDi 100 04/2006 -. CITROEN JUMPER Bus 2.2 HDi 120 04/2006 -. CITROEN JUMPER Bus 2.2 HDi 130 07/2011 -. Reference Numbers 86C 80 19E 1G1 1G2 165 3A2 35I 3A5 6KV2 281-363 6KV5 291-512 293-909 1L 6K1 6K2 6K5 MH NZ 2G AAV 3F 1H PG PF DX EV GZ PB PY AKL AEH AUR AFT APF 1E 2E AGG SEAT 030 198 031 VW. Material FPM (fluoride rubber). 1 x Topran Germany injector. FORD FIESTA Box (J5_, J3_) 1.4 i 04/1996 -. FORD FIESTA IV (JA_, JB_) 1.25 i 16V 08/1995 -. FORD PUMA (EC_) 1.4 16V 11/1997 -. FORD PUMA (EC_) 1.7 16V 03/1997 -. FORD FIESTA Mk IV (JA_, JB_) 1.4 i 16V 04/1996 -. Will this item fit your vehicle?. Give us your trust and we'll help you to repair or update your car! IMPORTANT NOTES: Chassis number to: P4999999;Chassis number to: S6999999;Chassis number to: T2500013;Chassis number to: T5000073;Chassis number to: T8100000;TecDoc Engine Number: OPEL C 18 XEL;TecDoc Engine Number: OPEL X 18 XE. Manufacturer Part Number 116 264. Housing Colour Natural. Use engines info and vehicle YMM compatibility chart for general guide. Strictly important to provide VIN along with your detailed request since there can be different options for your car specific tech characteristics. VW 068 130 211F. AUDI 068 130 211F. VW GOLF II (19E, 1G1) 1.6 TD 04-1989 -. AUDI 100 (44, 44Q, C3) 2.0 D Turbo 03-1988 -. AUDI 100 Avant (44, 44Q, C3) 2.0 TD 03-1988 -. VW PASSAT (3A2, 35I) 1.6 TD 08-1988 -. IMPORTANT NOTES: Engine Code: AXA. IMPORTANT NOTES: Engine Code: AKK. AUD Saloon. IMPORTANT NOTES: Engine Code: ANV. AUC Saloon. IMPORTANT NOTES: Engine Code: ABF. 06/1999 1984 110 150 ABF Saloon. 06/2006 1781 165 224 APX. Reference Numbers 93 94 98 99 86 87 88 89 53 54 58 59 56 57 51 52 73 78 79 71 38 36 91 92 96 97 31 15 D 4EC1 17 DT TC4EE1 X 17 DT TC4EE1 15 DT T4EC1 X 15 DT T4EC1 17 D 4EE1 X 17 D 4EE1 AJUSA 01079600 FA1 814260010 814260100 FISCHER HANSPRIES 206270015 OPEL 8 21 627 08 21 627 TOPRAN 206270 VAUXHALL 94158676. 81 85 B2 44 44Q C3 89 89Q 8A B3 19E 1G1 1G2 165 32B 3A2 35I 3A5 1L DZ JS PV JN HP 4B PH SL KZ KU MC NF KP HX KX KV HY SK GX GU RP DX EV GZ PB PL KR RD HV HT RV DS JV AUDI 035 133 554 JP GROUP 1115550400 SEAT VW. FORD FIESTA IV (JA_, JB_) 1.25 i 16V 08-1995 -. FORD FIESTA Box (J5_, J3_) 1.4 i 04-1996 -. FORD FIESTA IV (JA_, JB_) 1.4 i 16V 04-1996 -. FORD PUMA (EC_) 1.4 16V 11-1997 -. FORD PUMA (EC_) 1.7 16V 03-1997 -. Manufacturer Part Number 100 656. Use engines info and vehicle YMM compatibility chart for general guide. Strictly important to provide VIN along with your detailed request since there can be different options for your car specific tech characteristics. IMPORTANT NOTES: TecDoc Engine Number: FORD XWGA;TecDoc Engine Number: FORD XWGB;Vehicle Trim Level: Duratorq TDCI. IMPORTANT NOTES: TecDoc Engine Number: FORD XXDA;TecDoc Engine Number: FORD XXDC;Vehicle Trim Level: Duratorq TDCI. OEM reference numbers Engine Code:AVR. diesel 2461ccm 1999/05-2006/07 Engine Code:ANJ. diesel 2461ccm 1996/06-1999/08 0928-864, 2028-362, 7528-391 Engine Code:AHD. diesel 2461ccm 2001/05-2006/07 1006-316 Engine Code:BBF. TOPRAN 208 816. VAUXHALL 13252173. OPEL INSIGNIA A Estate (G09) 1.4 09/2011 -. OPEL INSIGNIA A Estate (G09) 1.4 LPG (35) 07/2012 -. OPEL INSIGNIA A Estate (G09) 1.6 (35) 07/2008 -. OPEL INSIGNIA A Estate (G09) 1.6 CDTi (35) 07/2015 -. Material NBR (nitrile butadiene rubber). Use engines info and vehicle YMM compatibility chart for general guide. Strictly important to provide VIN along with your detailed request since there can be different options for your car specific tech characteristics. 93 94 98 99 86 87 88 89 53 54 58 59 56 57 51 52 73 78 79 71 38 36 91 92 96 97 31 15 D 4EC1 17 DT TC4EE1 X 17 DT TC4EE1 15 DT T4EC1 X 15 DT T4EC1 17 D 4EE1 X 17 D 4EE1 AJUSA 01079500 FA1 556370010 556370100 OPEL 08 21 207 8 21 207 TOPRAN 206011 VAUXHALL 94148392. 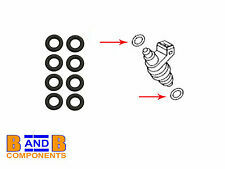 Fuel Injector Nozzle MB:W124,W123,W201,S124,W123,W124,190,KOMBI,E A0010174612. MB A001 017 46 12, 001 017 46 12. Vehicle list is for general guidance only. If you are unsure or seeking for correct part, send us your enquiry together withVIN (Chassis) number of your vehicle. OEM reference numbers Engine number to:085945. Engine number to:096659. diesel 2998ccm 1979/03-1985/11 0709-305 Engine Code:OM 617.912. Engine number to:021689. Engine number to:063573. diesel 2399ccm 1979/03-1985/11 0009-433, 0709-303 Engine Code:OM 616.912. Seat CORDOBA (6K1, 6K2) 2.0 i 115hp (85kW). Seat TOLEDO (1L) 2.0 i 115hp (85kW). OEM reference numbers Seat IBIZA MK II (6 K 1) 2.0 i 115hp (85kW). For more information VW POLO CLASSIC (86C, 80) 1.3 KAT 55 (40). OEM reference numbers diesel 1896ccm 1996/01-1996/10 Engine Code:1Y. Year to:04/1993. diesel 2383ccm 1990/08-1996/06 5013-409 Engine Code:ACT. diesel 2383ccm 1990/07-1996/05 0603-047, 0603-050 Engine Code:ACT. Manufacturer Part Number 111 414. Material FPM (fluoride rubber). Use engines info and vehicle YMM compatibility chart for general guide. Strictly important to provide VIN along with your detailed request since there can be different options for your car specific tech characteristics. IMPORTANT NOTES: Engine Code: CFLA. IMPORTANT NOTES: Engine Code: ANB. AWT Estate. 09/2001 1781 110 150 AEB. IMPORTANT NOTES: Engine Code: APT. ARG Estate. 09/2001 1781 92 125 ADR. IMPORTANT NOTES: Engine Code: ADR. 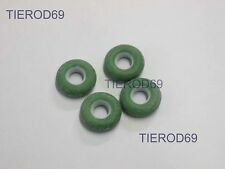 OEM reference numbers Audi 80 (89, 89Q, 8A, B3) 1.6 D 54hp (40). VW POLO (86C, 80) 1.3 D 45hp (33kW). VW POLO Coupe (86C, 80) 1.3 D 45hp (33kW). VW GOLF MK II (19E, 1 G 1) 1.6 D 54hp (40). VW POLO CLASSIC (86C, 80) 1.3 D 45hp (33kW). Reference Numbers 93 94 98 99 86 87 88 89 53 54 58 59 56 57 51 52 73 78 79 71 38 36 91 92 96 97 31 15 D 4EC1 17 DT TC4EE1 X 17 DT TC4EE1 15 DT T4EC1 X 15 DT T4EC1 17 D 4EE1 X 17 D 4EE1 ELRING 297330 FA1 993830010 993830100 993830U25 OPEL 08 21 231 8 21 231 TOPRAN 206012 VAUXHALL 94420247. VW 068 130 211H. AUDI 068 130 211H. SEAT TOLEDO I (1L) 1.9 D 12-1995 -. SEAT TOLEDO I (1L) 1.9 TD 05-1991 -. SEAT TOLEDO (1L) 1.9 D 05-1991 -. SEAT TOLEDO (1L) 1.9 D 12-1995 -. SEAT TOLEDO (1L) 1.9 TD 05-1991 -. OEM reference numbers For OE number:001 017 46 12. diesel 1988ccm 1976/07-1979/02 0009-415 Engine Code:OM 615.940. Manufacturer Restriction:Bosch. diesel 1997ccm 1993/06-1995/06 0708-358 Engine Code:OM 601.912. Manufacturer Part Number 116 254. Use engines info and vehicle YMM compatibility chart for general guide. Strictly important to provide VIN along with your detailed request since there can be different options for your car specific tech characteristics. Manufacturer Part Number 101 467. Use engines info and vehicle YMM compatibility chart for general guide. Strictly important to provide VIN along with your detailed request since there can be different options for your car specific tech characteristics. Manufacturer Part Number 100 678. Material FPM (fluoride rubber). (DHL RULES). Use engines info and vehicle YMM compatibility chart for general guide. Strictly important to provide VIN along with your detailed request since there can be different options for your car specific tech characteristics. 81 85 B2 89 89Q 8A B3 44 44Q C3 8C B4 19E 1G1 1G2 165 32B 3A2 35I 3A5 1L DZ JS PV JN HP 6A 4B PH SL KZ KU MC NF KP HX ACE KX KV HY SK GX GU RP DX EV GZ PB PL KR RD HV HT RV DS JV 9A AUDI 035 133 557 SEAT VW. Manufacturer Part Number 206 580. Material Copper. (DHL RULES). Use engines info and vehicle YMM compatibility chart for general guide. Strictly important to provide VIN along with your detailed request since there can be different options for your car specific tech characteristics. MB 000 017 69 12, A000 017 69 12. Vehicle list is for general guidance only. If you are unsure or seeking for correct part, send us your enquiry together withVIN (Chassis) number of your vehicle. Power Kw/HP. 89 89Q 8A B3 44 44Q C3 4A C4 8C B4 JN NE PM DZ SD 3A AAD ABB NG RT NF ABK AAR AUDI 026 133 557 JP GROUP 1115550600. Manufacturer Part Number 107 316. Material FPM (fluoride rubber). (DHL RULES). Use engines info and vehicle YMM compatibility chart for general guide. 81 85 B2 89 89Q 8A B3 43 C2 44 44Q C3 80 82 B1 17 16 19E 1G1 1G2 165 32B 3A2 35I 3A5 33 YZ DZ JS PV JN HP NE PM SD 3A NG WC WG 4B PH SL RT KZ KU MC NF KP HX WU KF KX KV HY SK YS EG DX JJ GX GU RP EV GZ PB PL KR RD HV HT RV DS JV 9A ASHUKI 136849A AUDI 063 133 557 ELRING 573043 FEBI BILSTEIN 05136 GOETZE 5032408700 SWAG 30905136 TOPRAN 101403 VW. Skoda 068 130 219. Skoda FELICIA I Pickup (6UF, 6U7) 1.9 D 1.9 L / 1896 cc 1997.06 - 2002.04 47 Kw / 64 HP Engine Number: SKODA AEF. Skoda FELICIA II (6U1) 1.9 D 1.9 L / 1896 cc 1998.01 - 2001.06 47 Kw / 64 HP Engine Number: SKODA AEF. VW CRAFTER 30-35 Bus (2E_) 2.5 TDI 04/2006 -. VW CRAFTER 30-50 Box (2E_) 2.5 TDI 04/2006 -. VW CRAFTER 30-50 Platform/Chassis (2F_) 2.5 TDI 04/2006 -. AUDI A8 (4E2, 4E8) 4.0 TDI quattro 05/2003 -. VW 057 130 219A.